Fortress share your passion for America’s pastime, and we believe that the homerun is still the most awe-inspiring moment in sport. 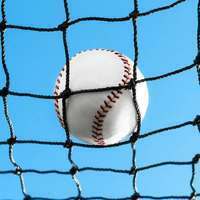 Homeruns are the result of dedicated baseball fanatics spending endless hours inside a batting cage slugging endless shots into the netting. 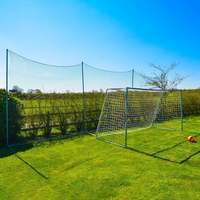 Start your journey to homerun heroism by investing in a Fortress batting cage for your backyard. All Fortress backyard batting cages and portable batting cages are manufactured from galvanized steel for ultimate strength and reliability. 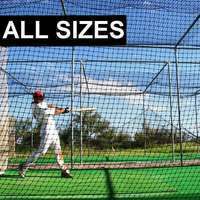 As well as this, each cage has heavyweight netting composed of super strong and supple netting to withstand your toughest shots and the harshest and hottest weather conditions, meaning you’re investing a baseball cage for batting training all year round, year after year. 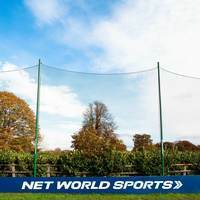 The Fortress Ultimate Baseball Net [Net & Poles Package] is one of our most popular home batting cages, and it’s easy to see why with its sleek and efficient design. Delivered complete with a one-piece net with roof for simple assembly, posts, and guy ropes and 10” pegs to hold the cage in place. There are 4 sizes for you to choose from, ranging from 20ft to 70ft, meaning there’s a Fortress Ultimate Baseball Cage to fit any backyard. 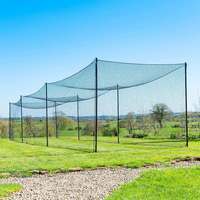 The majestic design doesn’t compromise on performance, though, with #42 grade high density polyethylene netting capable of keeping fearsome strikes contained and surroundings unscathed. Adding a Fortress L screen and net saver with strike zone will supercharge your training and fast-track your youngster’s careers to the big leagues! Next up to the plate is the Fortress Trapezoid Baseball Batting Cage. 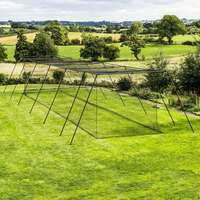 A complete batting cage with a mesmerizing design making it suitable for use on a whole host of surfaces including grass, concrete and indoors, this is the perfect batting cage for backyards with limited space. The Fortress Trapezoid comes equipped with the high quality netting you expect from all Fortress home batting cages, and so you can hit belter after belter without fear of damaging your surroundings. 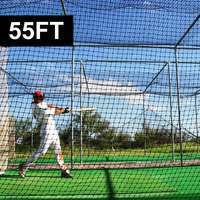 Available in 3 sizes from 35ft to 70ft, the Fortress Trapezoid Baseball Batting Cage offers a clear open space for the aspiring MLB star to develop technique and drastically improve their batting average. Adding a Paceman pitching machine to your backyard batting cage will transform your home into a spring training camp fit for any professional to train in. For professional baseball clubs looking to make their mark on the World Series, the Fortress Portable Batting Cage is the go-to mobile batting cage. Offering sensational specs at and real value for money, this club-level baseball equipment is engineered from galvanized steel tubing and heavyweight HDPP netting to provide optimum strength and durability. 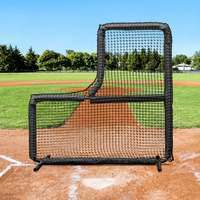 Fitted with a heavy duty wheel system to allow easy transportation, this fantastic baseball hitting net will save your team valuable time moving and assembling nets to spend more time putting bat to ball. This diverse baseball cage can also act as a portable backstop. Putting the hours in with the help of the Fortress Portable Batting cage is guaranteed to see your team swinging less waves and hitting more wood on game day. For elite baseball teams look no further than the Pro Team Backstop Portable Batting Cage. This multi-purpose baseball hitting net offers full manoeuvrability with both rigid and swivel wheels and is available in 2 length; 24ft and 36ft. 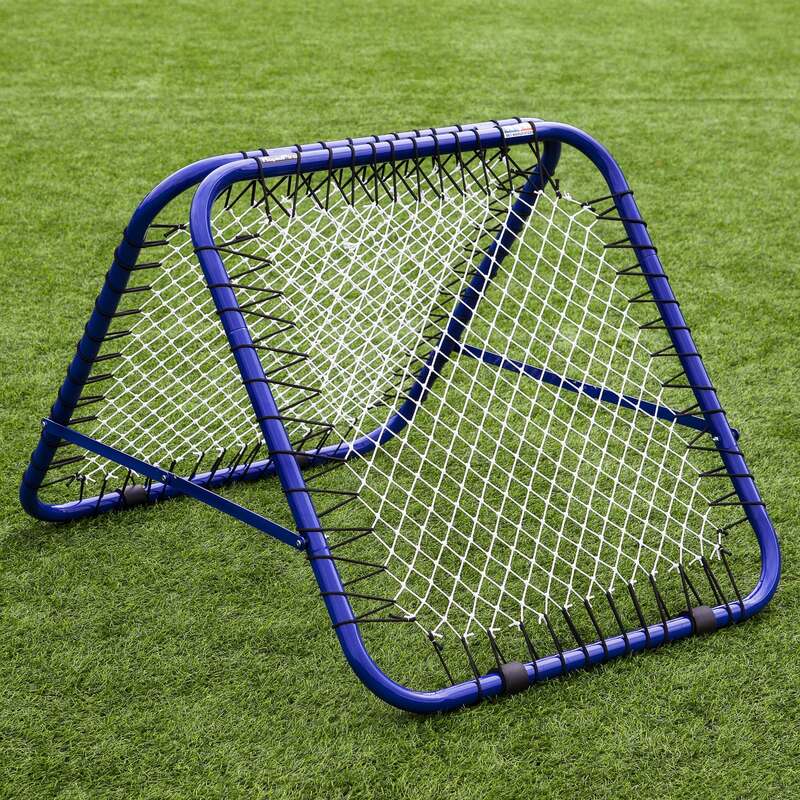 Use as a portable backstop or add a pitching screen to use as a batting cage. The back panel of this baseball cage opens and shuts, meaning that by adding a square protector screen to your order you can divide the cage into 2 sections for pitching practice or batting practice. The Fortress Concertina Batting Cage is the ultimate solution for baseball fanatics and clubs with limited space or wishing to preserve the condition of their baseball field. The unique concertina design means that you can utilise the tightest of spaces. 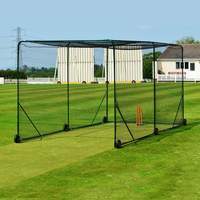 Optional wall brackets can fix the cage to a wall for easy storage, and an optional powder coated finish means you can leave your hitting net outdoors in the most extreme weather conditions, and its locking facility will prevent any unauthorized access. Whichever custom options you choose, you’ll be investing in a superb piece of baseball training equipment for your baseball club that will stand strong for season after season. 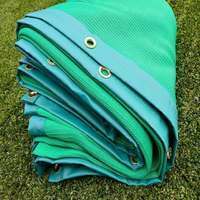 Add some high-quality baseball matting to your order and your Concertina Batting Cage will be good to go all year round. 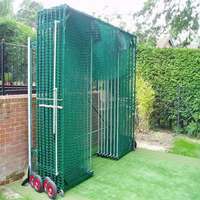 Our batting cages are durable, robust and manufactured to last longer than any baseball batting cages on the market, but if you’d like to further extend the lifespan of your cage then why not add a net saver? Fortress stock a variety of net savers in different styles and colours with strike zone targets for pitchers. When pitching to a hitter we also recommend adding a baseball L screen for added safety from fearsome strikes. The Nimitz baseball protector screens will safeguard your pitchers and coaches during high intensity baseball training. 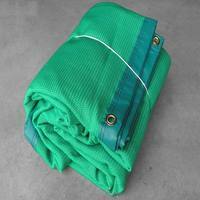 Another essential for your baseball batting cage is high quality baseball hitting mat. Fortress baseball drag mats allow all year-round batting practice vital for the winter seasons to maintain and improve your high batting average. Fortress baseball equipment is your go-to retailer for equipment of all playing levels. Whether you’re looking to transform your backyard into a spring training camp or you’re a coach of a major league team looking to upgrade your club’s facilities, you’ll find exactly what you need at an unbeatable price. From baseball batting cages and pitching machines to baseball field equipment, every item is of the highest quality and in stock ready for supersonic delivery to your door. Our expert customer care team are always ready to help should you have any questions about a product, assembly or delivery. 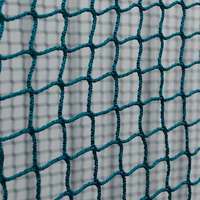 If you have specific requirements for custom batting cage netting or backstop netting feel free to give them a call, we aim to provide quotes the same day. From first visiting our site to the all-important after sales care, you won’t have a better buying experience anywhere else.